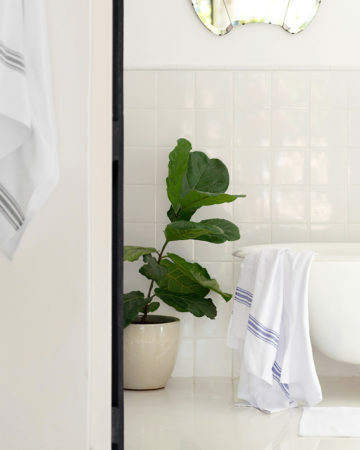 A luxurious, generously sized bath sheet or hand towel. 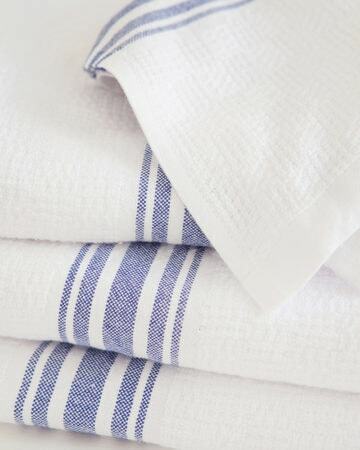 Pure cotton flat weave towels with a 100% linen border on the two short ends. 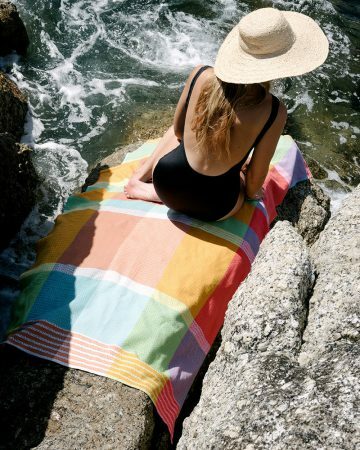 The Interlace towel is simple and timeless. 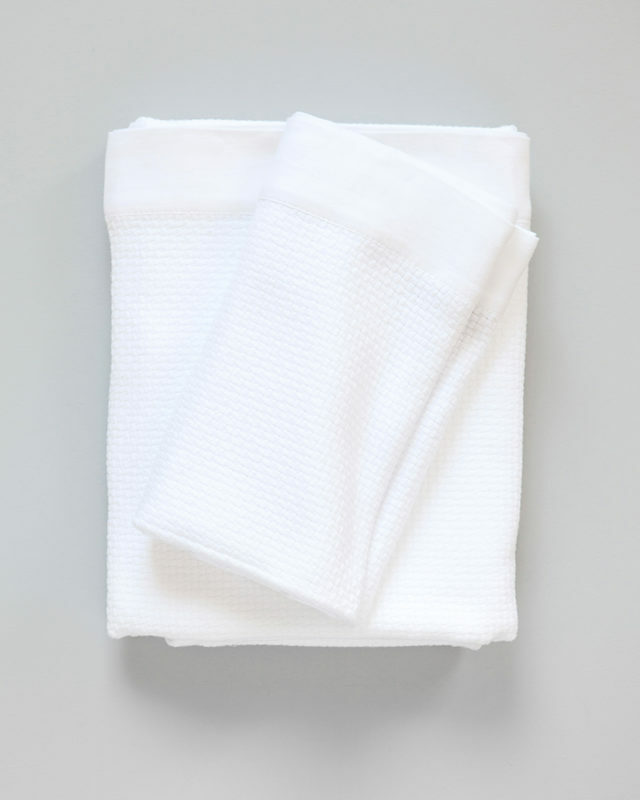 Woven from pure cotton with 100% linen border which adds a sophisticated touch to these practical, beautifully toned, flat weave towels. 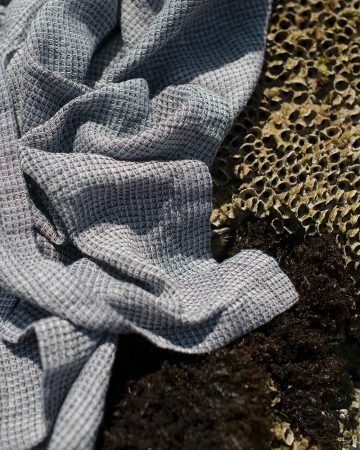 A bathroom addition that is absorbent, quick drying, versatile, eco friendly (low bulk for wash and dry) and has a compact form when travelling. 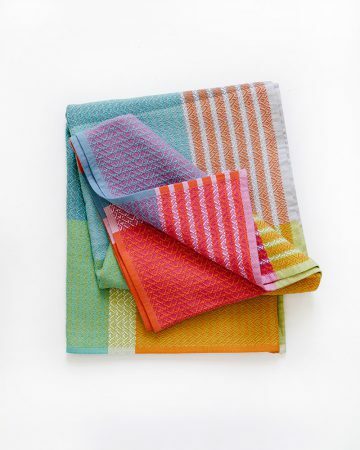 We have had a long time love affair with these towels at Mungo! 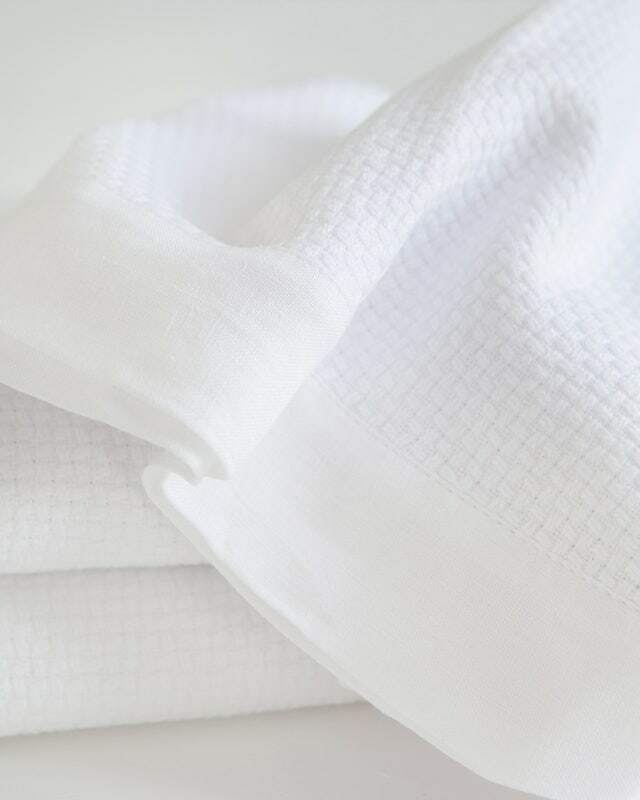 The texture is silky, smooth and luxuriously soft. 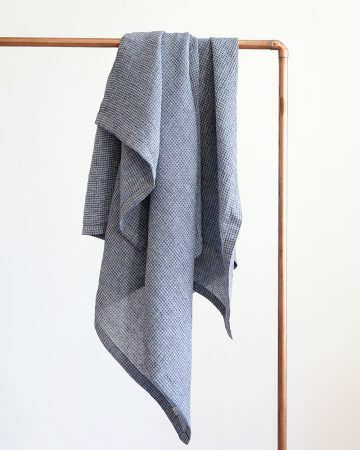 The elegant weave was created by Master Weaver Stuart Holding some 15 years ago and has been a firm favourite ever since.